In the valley of Fruitless mountain, a young girl named Minli lives in a ramshackle hut with her parents. While her father regales her with old folktales of the Jade Dragon and the Old Man in the Moon, Minli’s mother chides him for filling her head with stories. But inspired by these stories, Minli spends one of her precious copper pennies on a beautiful goldfish, which is said to be able to change the fortune of the owner. Her mother reprimands her for the silly purchase, but, it pays off when the goldfish talks and offers to show her the path to fortune and wealth! Minli is eventually joined by a dragon who can’t fly, and together they set out to find the Old Man of the Moon to ask him to fulfill their dreams. 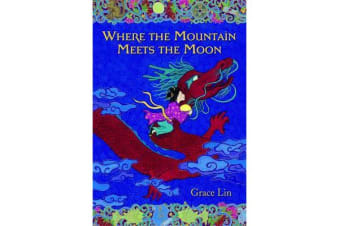 Fantasy crossed with Chinese folklore, with timeless elements of the classic The Wizard of Oz mixed in, Where the Mountain Meets the Moon is a wonderous story of adventure, devotion, and friendship. 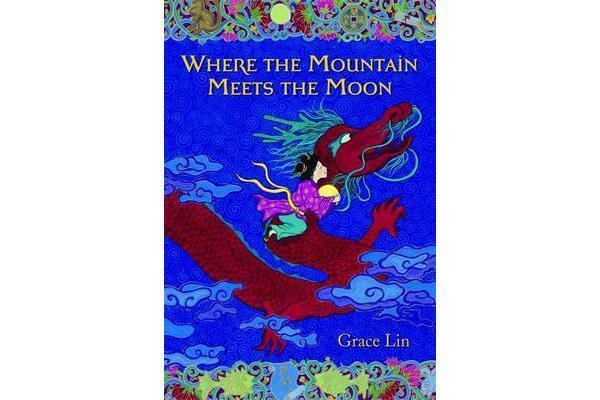 Grace Lin has once again written a charming, engaging book for young readers.